Lists like these appear all of the time, usually with little variation in the companies that make the cut. Construction Dive, using the 2018 ENR top 400 Contractors list, has taken a more comprehensive look into the top 10 firms by 2017 contracting revenue in the hopes of making these rankings more insightful. Get to know the companies behind 2017's biggest numbers with a look at some high-profile projects and interesting facts that make these firms industry leaders. 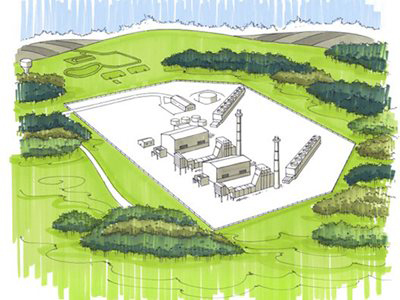 Bechtel will provide engineering, procurement and construction services for a $1.3 billion South Field Energy combined-cycle plant. Interesting Fact: Bechtel claimed the top spot on ENR's Top 400 Contractors list for the 20th year in a row. Interesting Fact: Fluor was the main electrical contractor involved in the Puerto Rico Power Restoration Project, helping to rebuild the island's electric grid in the wake of Hurricane Maria. Turner plans to break ground on soccer franchise FC Cincinnati's new $200 million stadium by the end of the year. Interesting Fact: ENR has named Turner the top green building contractor for 10 consecutive years. Interesting Fact: AECOM is the only engineering company in the world to have planned, designed and constructed a hyperloop project. Interesting Fact: Kiewit uses a unique system of decentralized offices located in various markets around the U.S. Interesting Fact: Skanska has more than 10,000 active projects annually. Interesting Fact: PCL Construction is 100% employee-owned. Interesting Fact: The company was founded in 1909 by two classmates at MIT. Interesting Fact: CB&I merged with McDermott International in May to create a vertically integrated onshore and offshore engineering and construction company. Interesting Fact: Tutor Perini was active during the Great Depression and President Dwight D. Eisenhower's Interstate Highway program.